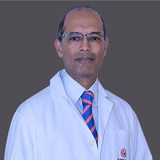 Dr. Jobeetha completed her Bachelor of Medicine and Bachelor of Surgery MBBS at the University of Kerala (1993 – 1998). She later obtained a Diploma in Clinical Dermatology from the College of Medicine at the University of Wales, UK (2005). In 2008, Dr. Jobeetha received her Master of Science in Dermatology at the University of Wales and a training completion certification in Cosmetic Dermatology at Kaya Training Academy in Mumbai. 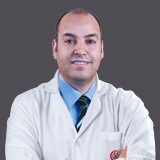 Dr. Jobeetha completed several trainings and courses including Cosmetic Dermatological Procedures training, Phototherapy and Photo Chemotherapy courses at the University of Wales, and Immunobulous Diseases course at Oxford Roadcliffe Hospital. She also obtained an Advanced Cardiac Life Support Training in 2006. 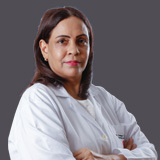 Dr. Jobeetha began her career as a House Surgeon at the University of Kerala (1998 – 2000), and then became a GP Dermatologist at Kristu Jayanti Mission Hospital (2000 – 2004), India. After moving to Dubai, Dr. Jobeetha was employed as an In-house Dermatologist at VLCC (2006 – 2008) and then she then spent 1 year back in Mumbai, India at the Kaya Skin Clinic as a Dermatologist before returning to Jebel Ali Hospital in Dubai as a Registrar Dermatologist. 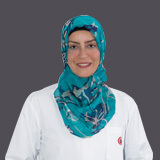 Dr. Jobeetha worked as a Specialist Dermatologist at Al Zahra Hospital Sharjah and a Registrar Dermatologist at Al Zahra Medical Center Dubai in 2009.